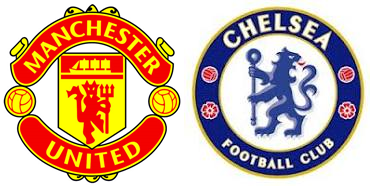 Premier League Preview for Manchester United v Chelsea along with Predictions for the matches on week 36 of the EPL. Follow up each match with results and video highlights posted later in the week. You can also check out the weekly EPL TV Schedule. Sir Alex Ferguson has said this week that he will field a strong side against Chelsea on Sunday. I’m sure this is as much to do with the pride of United as it is with wanting to keep other teams happy. Chelsea has been on a roll lately and has been able to string results together despite their tiredness. They are in a fight to get back into the Champions League next season and it is a close one. Chelsea have a full strength squad coming into Sunday (barring any injuries in Thursday’s Europa League match). Rafa Benitez will most likely continue with his squad rotation policy, but this shouldn’t detract from Chelsea going for the win. Manchester United will be going into this match with a point to prove after being knocked out of both the Capital One Cup and FA Cup by Chelsea this season. This includes the 2-2 draw at Old Trafford in the FA Cup. My prediction for Sunday’s Premier League match-up is a Manchester United win. It’s going to be a tough match and United will need to play well if they want to get a result. Chelsea is a strong team, even with their squad rotation. Midfield will be where both teams need to assert themselves and where this will be won and lost. It is also an area where United has struggled this season. No matter what the result is, it should be a good match and one worth tuning in to.